Welcome to the first World Recipe Exchange event of 2018! We invite you to partake in an Arabic Coffee function, a traditional gathering of great social importance in Arab societies. It is a symbol of hospitality and generosity with its own social etiquette. 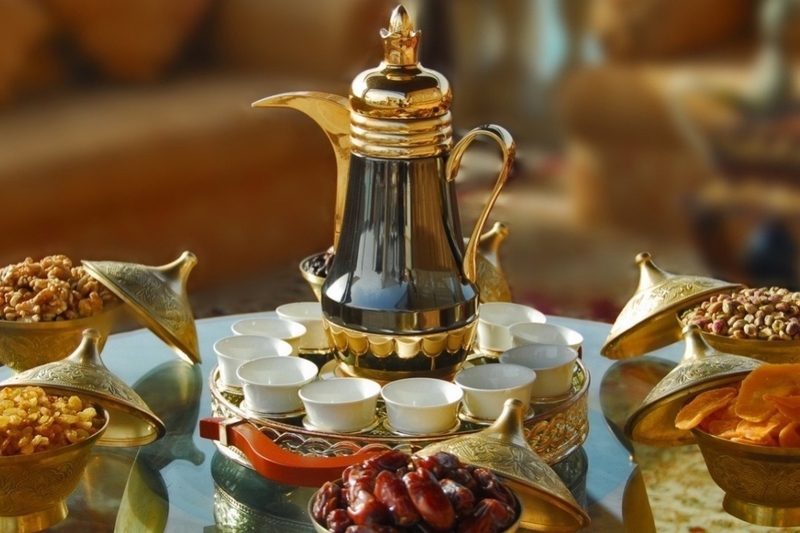 Arabic coffee traditions span the Arab world and vary from place to place. At our event, we will be hosted by Adel who will introduce us to the traditions of coffee-drinking in Bahrain. New to World Recipe Exchange? World Recipe Exchange (est. 2016) is a programme of food events based at Ormston House. We bring people together to explore how our culinary heritage continues and changes in the new contexts of our increasingly culturally-diverse society. As we cook, taste and share food, we are also creating a database of recipes that originate from all corners of the world but are nowadays cooked side by side in the kitchens of our city. Our 2018 programme will start in March with the first of monthly events presenting tea and coffee drinking rituals from around the world. We will also mark traditional cultural holidays from around the world by showcasing the meals that are traditionally served on these occasions and the accompanying customs. World Recipe Exchange is led by Marta Sławińska. The R&D phase is kindly supported by the European Cultural Foundation and Limerick City & County Council. World Recipe Exchange monthly Tea & Coffee Gatherings are part of our programme celebrating European Year of Cultural Heritage 2018.